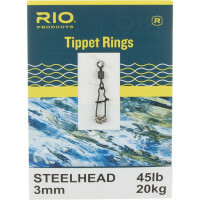 Make rigging and tippet replacement quick and easy with RIO's lightweight, super-strong Tippet Rings – the ultimate tippet-to-leader connection. These rings eliminate knots and extend the life of your leader. Leaders with tippet rings turn over with ease, and are light enough to use with dry flies. 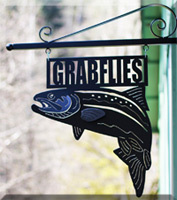 Plus, they make adding droppers a breeze, and are excellent when used for European-style nymphing and indicator nymph fishing. Per 10.